Lost keys to this Churchill Treasurechest floorboard safe meant that the customer could not retrieve the contents locked within almost 10 years ago. We attended the job in Walsall in the West Midlands and picked open the lock. The client was very pleased at the contents which more than covered our charges. After replacing the lock and supplying a new set of keys we left them with a fully functioning safe once again. 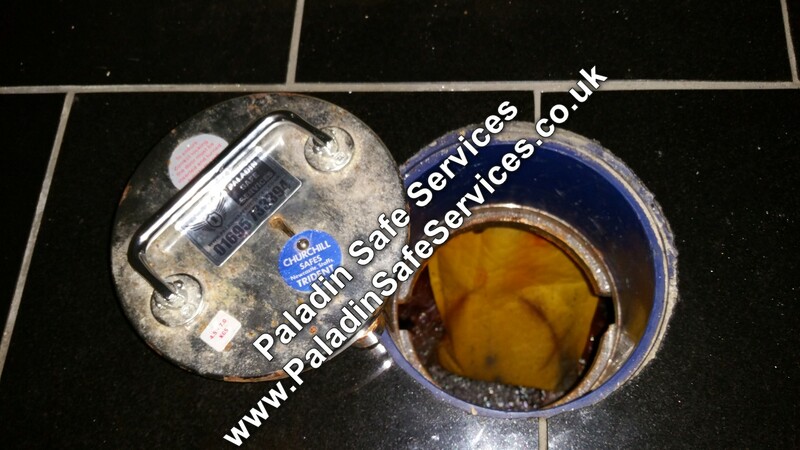 The key had been lost to this Churchill Bulldog floor safe in Childwall, Liverpool. Fortunately the owner had a spare key but unfortunately it was inside the locked safe. We picked open the safe lock to retrieve the contents and the spare key. 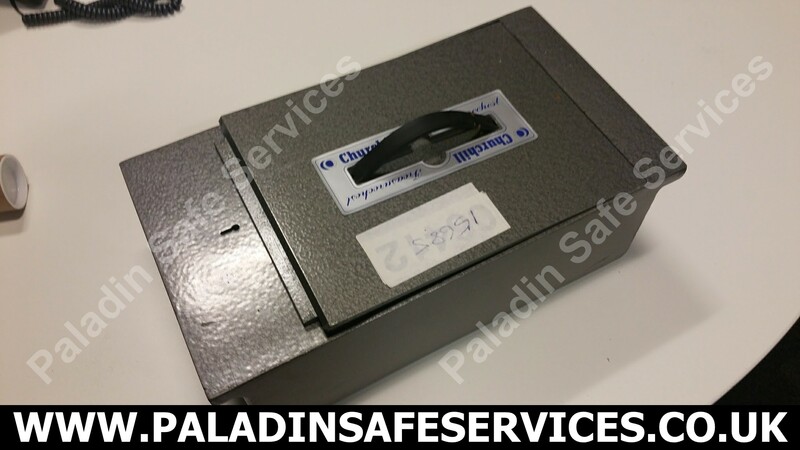 One of the advantages of our nondestructive opening techniques is that in situations like this the safe can immediately be used again once it has been opened without needing to pay for a new lock or any repairs. The keys had been lost to this Churchill Domestic underfloor safe at a property in Lytham St. Annes in Lancashire. We opened the safe and provided a new set of keys. 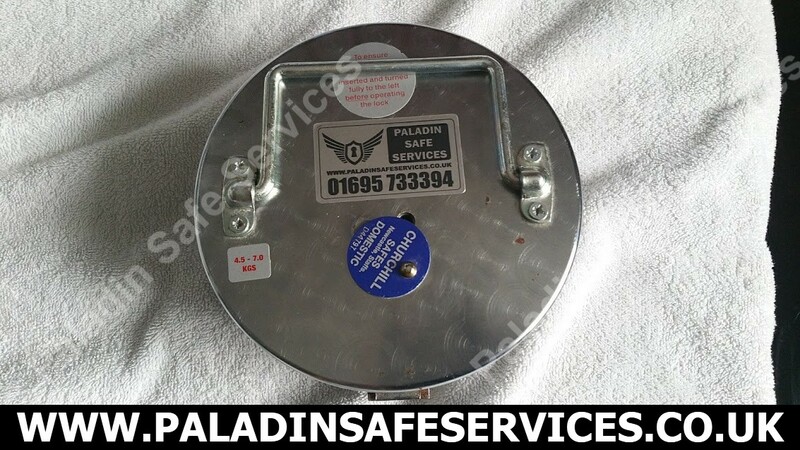 We were called to a business in St Helens, Merseyside as they could not open their Churchill Domestic Underfloor Safe. We discovered that the lock had fallen off the lid which had set off the internal relocker device. We opened the safe and put it all back together as it should have been. We were called by a Solicitors firm in Manchester who required this Churchill Treasurechest safety deposit box opening as part of a deceased estate. The family were unable to find the key so the bank had released the box to be opened at their leisure. Other companies had advised that the box would need to be destroyed in order to get the contents out, we were a bit more subtle and picked the lock open causing no damage whatsoever. The keys to this Churchill Trident under floor safe in St. Helens had been lost and the owner needed to get his passport out of it. We dutifully attended site at the agreed time and opened it. 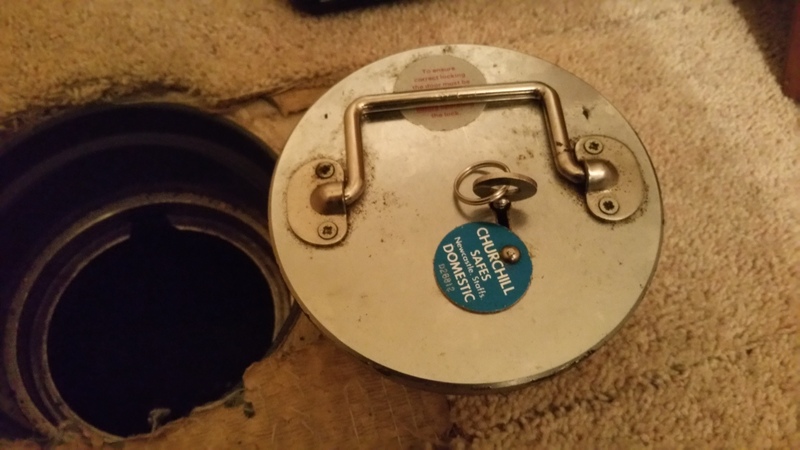 This Churchill Domestic under floor safe in Sandbach, Cheshire would not open for the owners and the key was stuck in the lock. Initial diagnostics suggested that the lock was open but there was something blocking the rotation of the lid to both the open and the closed positions. We were able to rectify the situation without damaging the lid on this occasion but it’s important to never over-fill any safe. 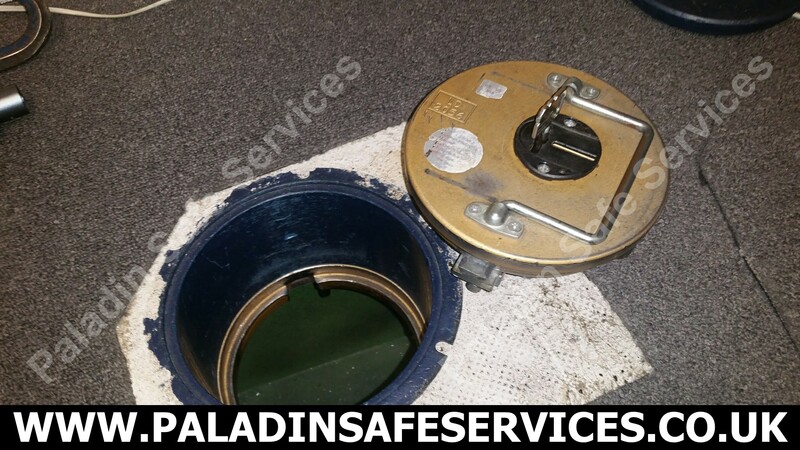 This is particularly important for this style of safe as the lock and bolt work are exposed underneath the lid so that anything touching it can block it and cause a lock out.